This stir fry is my mom's signature recipe. The addition of Moong Dhal makes it much more tastier and healthier. 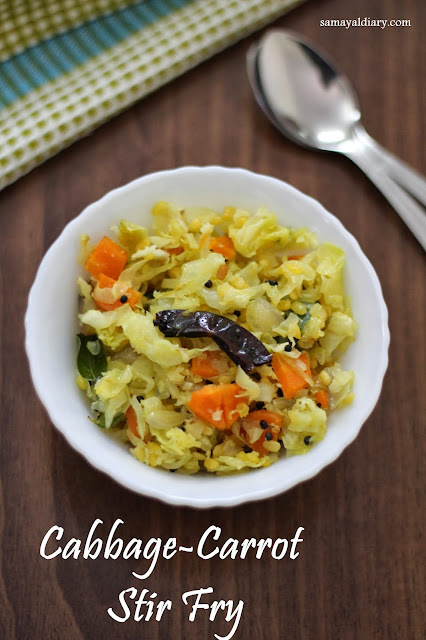 Nowadays whenever I make cabbage stir fries, I do not forget to add Moong Dhal. I like the way my son and Hus completes it without any fuss. Chop Pearl Onions. Grate Coconut and Cabbage. Chop Carrot into fine pieces. Slit Chillies. Soak Moong Dhal in 1/4 cup of water for 10-15 minutes. This step is not much necessary as Moong Dhal gets cooked faster but this is to ensure that it cooks much more faster. Heat Oil in a Pan. When hot, add Mustard Seeds. When they start popping up,add Urad Dhal, Curry leaves, Turmeric Powder, Red Chillies and Pearl Onions. Fry till the onions turn translucent. Now add the chopped carrot, cabbage and Salt. Saute for a while and then add Moong Dhal along with the water. Cook till done. Add coconut and fry for few more minutes until done. Serve with hot rice and any spicy curry. 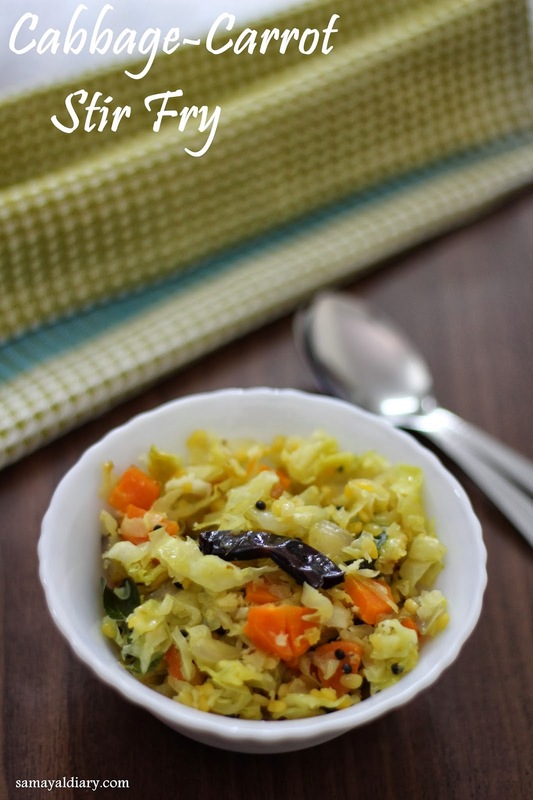 cabbage stir fry looks so yummy and delicious :) lovely click ! !